Rocky Peak Productions (RPP) began in 2003 as three local bicycle enthusiasts attempting to make a living doing what we love; riding bikes and hosting events to encourage and invite riders of all levels to join in the fun. In 2005 they resurrected a long distance, non-competitive road ride known as the Tour de Steamboat. This local road bike event started in the late 1970’s with bike building legend, Kent Eriksen, as a century road ride amongst local friends and riders. In 2005, the Tour hosted 150 riders and celebrated the success over a keg of beer and a basket of Double Z BBQ. Mountain Resorts is pleased to be an official lodging sponsor of the Tour de Steamboat. Use promo code TDS18 to save an extra 10% on your lodging, plus 5% of your lodging total will be donated to the Steamboat Trails Endowment Fund. Today, the Tour de Steamboat boasts the same vintage style with some refined conveniences including stocked aid stations, more cowbells, and one heck of a grand finale BBQ party (where complimentary massages are provided and the beer flows like wine)…and includes 800+ riders. The beneficiaries are all local organizations and charities who will benefit from participants. All (100%) of proceeds are donated to local organizations that reach out in powerful and effective ways in the community of the Yampa Valley. 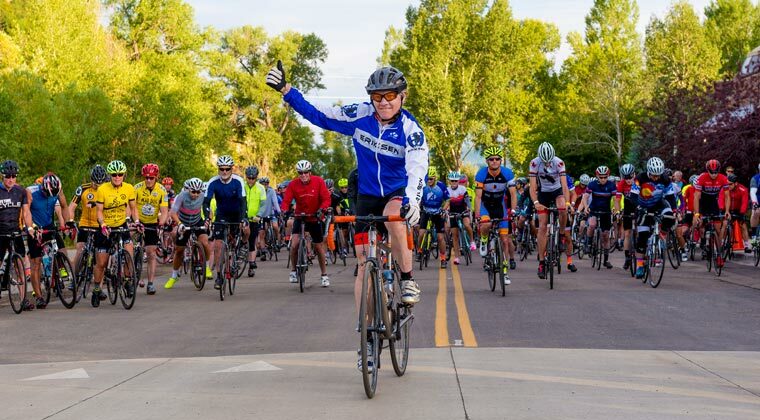 The Tour de Steamboat is an annual all volunteer charity bicycle event that brings together 1000 cyclists and over 30 local and state-wide volunteers, on a one-day ride through beautiful Northern Colorado. Names like Rabbit Ears Pass, Gore Pass, Stagecoach, Yellow Jacket Pass Yampa, and Oak Creek dot this incredible route, and 4 mileage options offer something for everyone to enjoy. 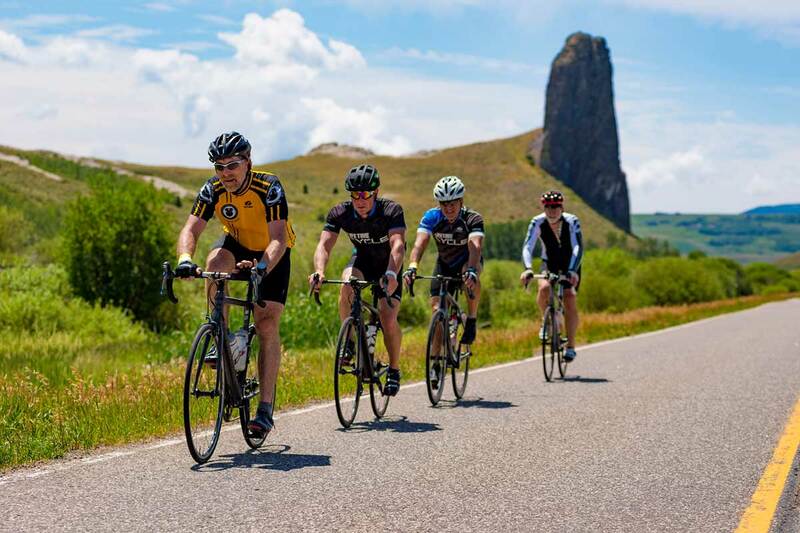 We are a non-competitive event open to cyclists of all ages and participants are encouraged to ride at their own pace and enjoy the majestic scenery in our part of the world! We offer first class aid stations, support and end of the ride BBQ. Visit the Official Tour de Steamboat site for additional information and to register for the event. Hop on the family-friendly Yampa River Core trail for a relaxing cruise along the river. 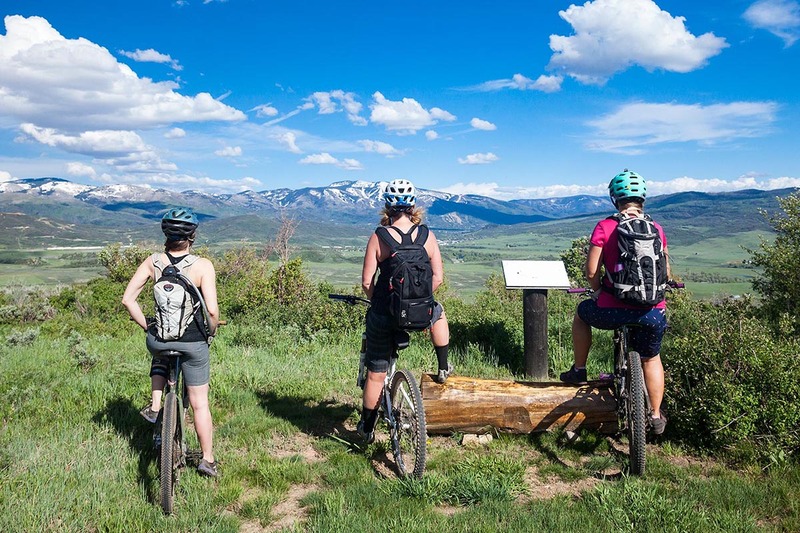 Explore over 500 miles of scenic cross country single track or hit the Steamboat Bike Park and downhill trails on Mt. Werner. The smooth country roads offer endless rides through the Yampa Valley. How will you Bike the ‘Boat?